Some Stuff I was dreaming about. Home › Random › Some Stuff I was dreaming about. So as usual I was thinking about some stuff, which can be dangerous. I was dreaming about the green fiat and so I took the red fiat and added a logo from Ghost in the Shell. 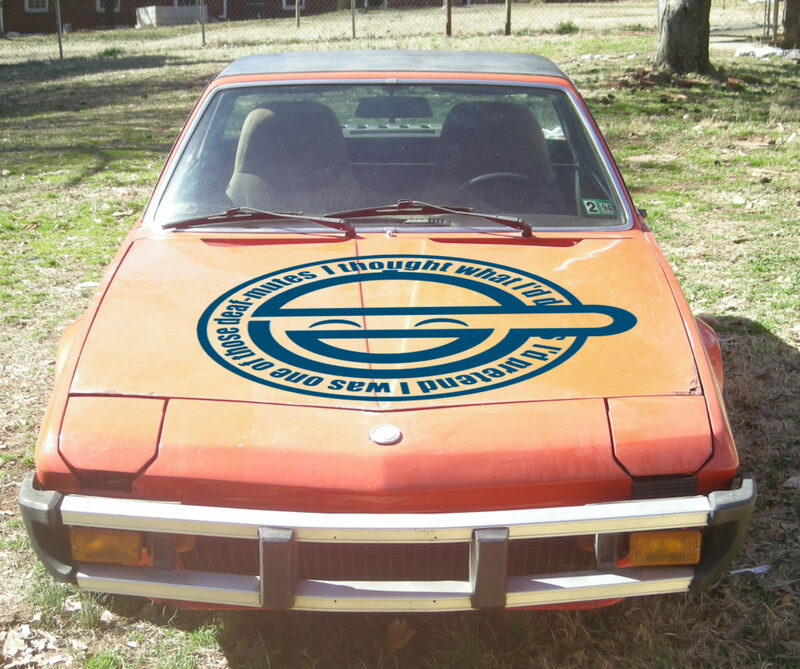 It is the laughing man logo, I added it to the hook of the car. What do you think about it? Road Test Take #1 on the red 77 fiat x1/9 - Success!